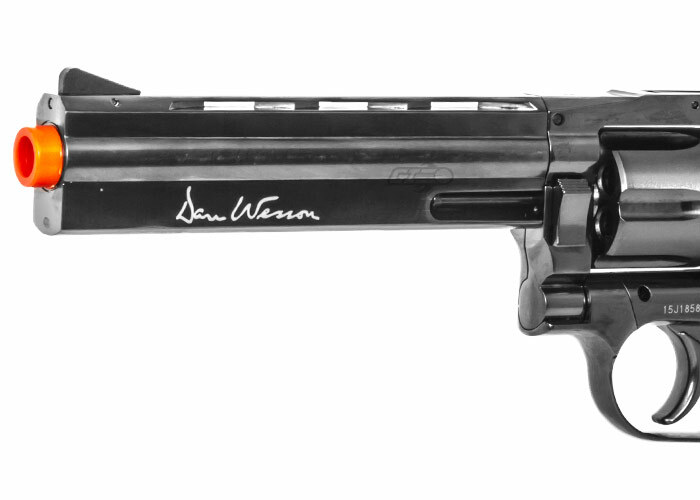 If you are looking for a top-of-the-line .357 pellet gun to add to your arsenal, look no further than the ASG Dan Wesson 6" CO2 .357 Pellet Revolver Airgun from ActionSportsGames. 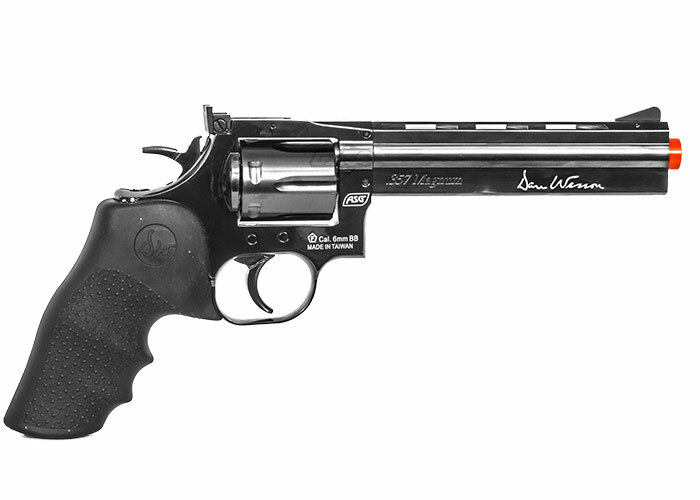 This high-performing .357 pellet gun embodies quality at every corner, from its full metal construction and solid precision-engineered mechanics, to its excellent grip ergonomics and best-in-class long-range accuracy. 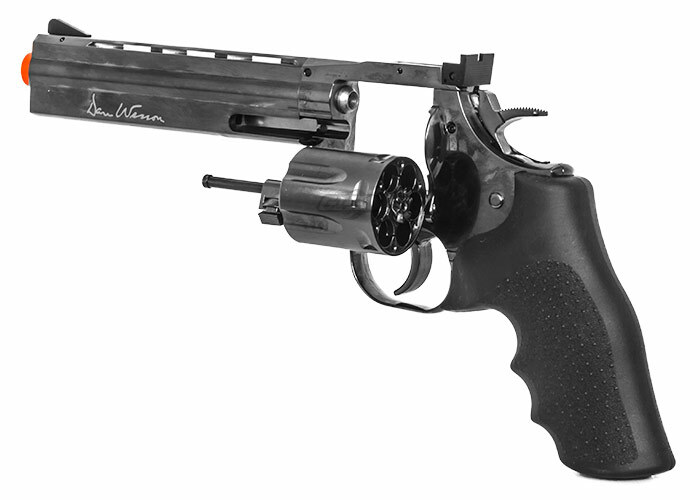 The airgun also features a unique front-cylinder release latch functionality. Plus, it has a precise drum lock design for increased safety. Increased comfort is provided from the imitation embossed rubber-grip construction. 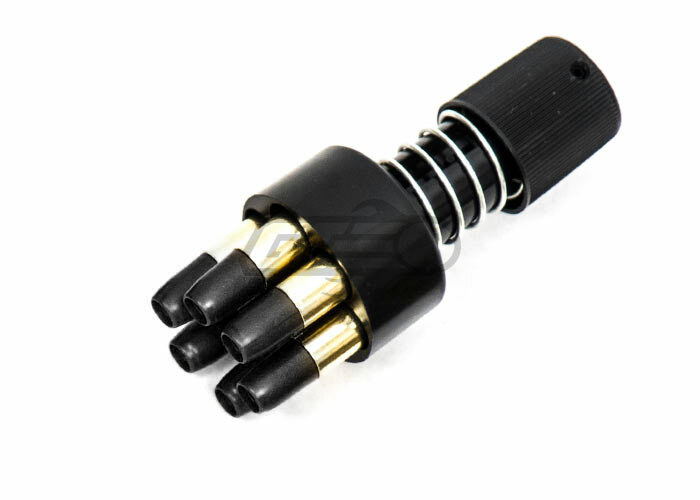 The integrated tool for tightening the CO2 cartridge helps improve the load time of the airgun, giving users the capability to fire faster than the competition. This pellet version allows for quick and easy rear loading of cartridges, meaning that cartridges do not have to be removed from the drum. 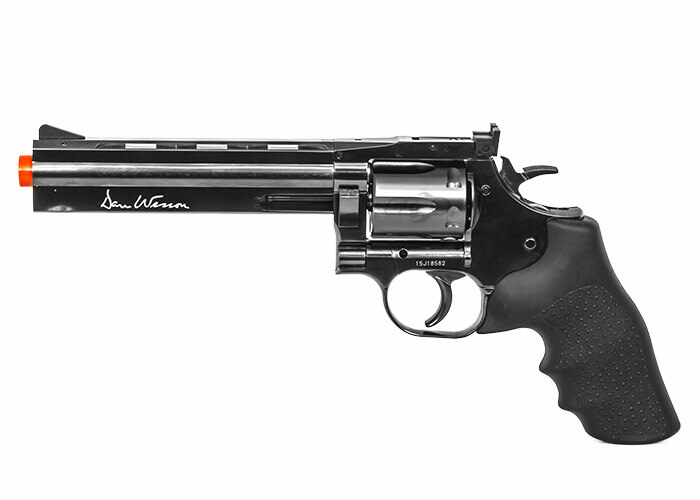 Meticulously-detailed and finished in an elegant gray steel coloration, this .357 pellet gun resembles a real Dan Wesson revolver at virtually every level. Firing at roughly 430fps, it's one the most powerful pellet guns in its class. 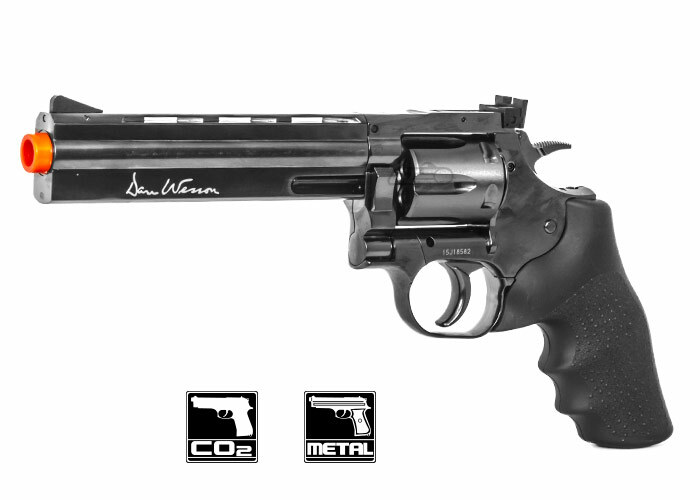 Order the ASG Dan Wesson 6" CO2 .357 Pellet Revolver Airgun (Gray) here at Airsoft GI today!